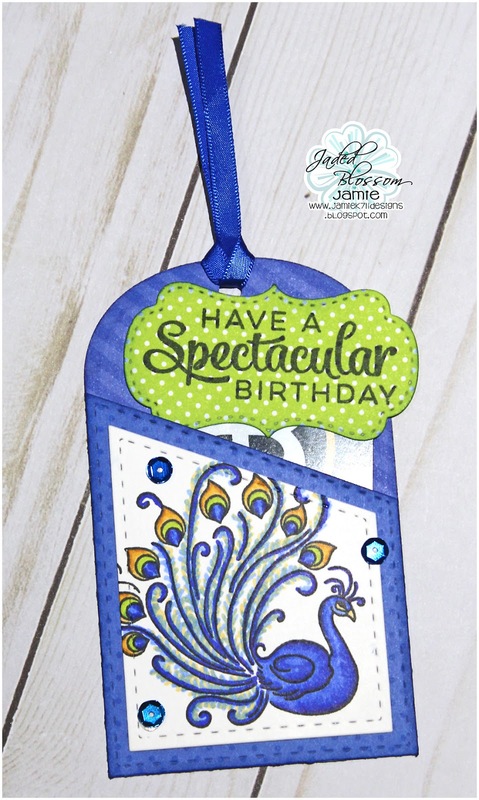 Jaded Blossom: Have a Spectacular Birthday! Jamie here to share a project using this month's spotlight set Peacock! 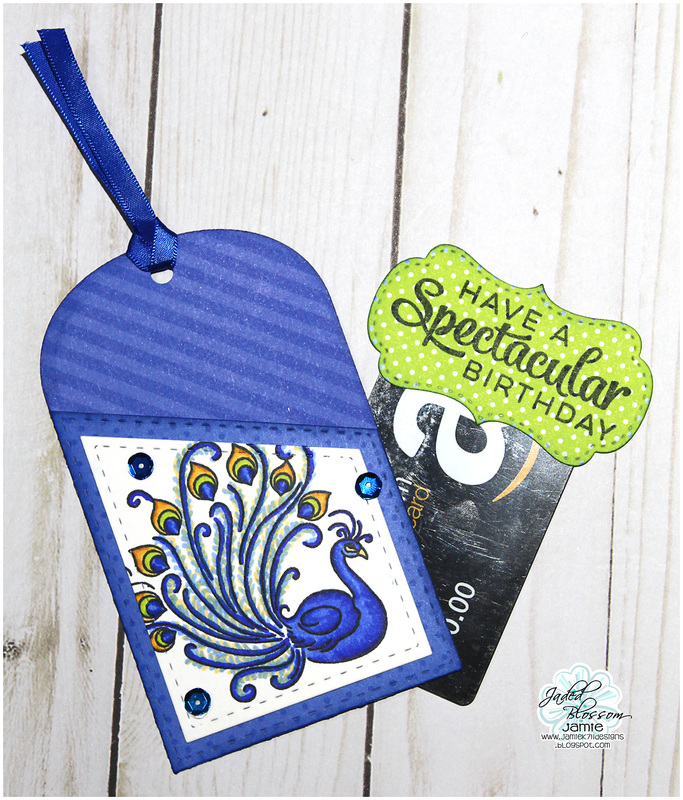 I stamped the peacock on to the Pocket Tag Die and added some sequins. Then I stamped a sentiment onto a Label Shape Die and attached it to a gift card.